Dr Jamil Alayan of Griffith University. 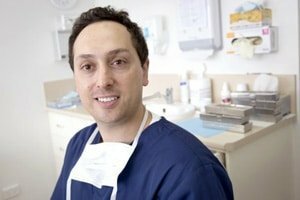 Dr Alayan and his team are using the latest tissue engineering technology to produce totally synthetic bone “scaffolds” that can be grafted into the patient’s jawbone. These will then provide a viable foundation within which to place titanium dental implants. “Traditionally, people with missing teeth who have lost a lot of jawbone due to disease or trauma, would need to have these replaced with dental implants using their own bone. “This bone is usually derived from their jaw, but occasionally it has to be derived from their hip or skull. “These procedures are often associated with significant pain, nerve damage and post-operative swelling, as well as extended time off work for the patient,” said Dr Alayan. “In addition, this bone is limited in quantity. Rob Johnson is the editor of Bite magazine.